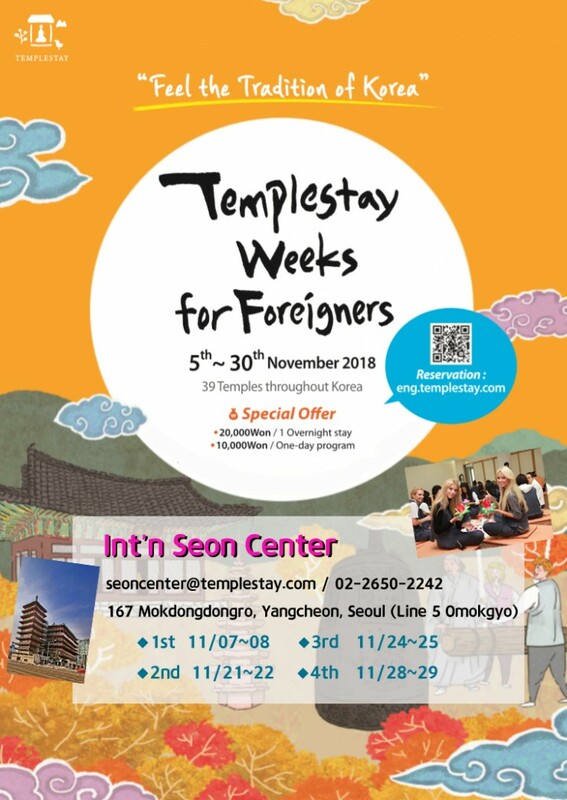 "2018 Templestay Weeks for Foreigners " is coming! Now, templestay is one for representative Korean travel activity for the international visitors. So we hold the "Templestay Week for Foreigners" on November. You can enjoy the 1night 2days templestay with a special deal during this period! Our International Seon Center will provide the special deal at 11/7~8, 11/21~22, 11/24~25, 11/28~29 (4 times). Reservation will start at 8 October at our homepage. Pre Post Has not previous post.